We’ve been waiting for weather like this for a while! While Steve was busy ticking items off his long list of winter maintenance for Betsy, I continued to “terrorize the local birds”, as he likes to describe it. When your home base is at Riviera, Texas, fishing and birding are pretty much the order of the day. If those activities aren’t your cup of tea, you might as well just drive on. We stopped here as a mid-way point between Corpus Cristi and Mission, and Steve wanted to finish his maintenance work on the sunny days that were forecast during our stay. Except for our excursion to King Ranch we didn’t do much on most days, and simply enjoyed the nice weather. This area of southern Texas can be described as flatland covered with dense thorny vegetation, and live oak woodlands mixed with brush and grassland. Prickly Pear cactus and Honey Mesquite trees thrive here. The wide open space made me feel like we were in the middle of nowhere, and because there isn’t a lot of rain here it was the first spot we stayed this year that was actually a bit arid and desert-like. Although there were no hiking/biking trails here, we had access to several quiet county roads where we could ride or walk and rarely see a car. Here I am doing bird and Javelina reconnaissance. We saw a lot of Javelina tracks, but never the real thing. Since they are nocturnal, Steve even went out at 5:30am a couple of times to find them – but they managed to evade him! The birds will never see me in this camouflaged outfit! Our home base was at SeaWind RV Resort (Steve’s review here), located 22 miles southeast of Kingsville on Baffin Bay. Locals claim this is the best area for trout fishing anywhere along the Gulf Coast, and since fishing is the main activity here the county park next door has overflow parking for boats and extra vehicles. If you like to fish, this is a spot you should consider when in the area. Once Steve began his work and my presence wasn’t needed (OK, my presence wasn’t wanted! ), I did some serious bird watching and gave my camera a good workout. Many birds came to us – or specifically to a tree near us – and Steve laughed as I converted Betsy into a bird blind. Being close to birds always makes me happy, and watching them jockey for a spot on the feeder was great entertainment. It definitely lowered my blood pressure and made me smile. The sparrows didn’t fool with the Green Jay, but they beat the heck out of each other! We want food, we want food! The feeders are empty, we’re outta here! Bird life in this area is quite unique, with many species that aren’t commonly found anywhere else in the U.S. I was lucky that I didn’t have to walk or drive far to get my “bird fix”. As long as I kept the feeder full these little Texans were happy to hang out in a big tree right outside our window. If I got bored with birds in the trees, I could go to the beach and watch the waterfowl. I saw an Egret that appeared to be losing its mind, running around in circles and apparently chasing fish. I knew that was odd behavior for Great Egrets or Snowy Egrets, but as I got closer I realized it was actually a white morph Reddish Egret! Their hunting technique differs from the others, who just kind of walk along until dinner crosses their path. As fishing is the main event here, these avid fishermen were on the pier from dawn to dusk every day. Our stop at Riviera, Texas is not for everyone – unless you are a birder or a fisherman. But not a bad place to just hang out and enjoy the sunshine, either! Up next: Moving to our farthest-south location for the year. Winter weather arrived too early to suit us this year, impacting 43 states – including Texas, which got hit hard. The surge of cold air pushed all the way down to the gulf coast and then moved east. At least we weren’t in Buffalo! Our days at Galveston Island were a mixture of blustery cold and wet days, interspersed with a few sunny breaks. As I write this, strong winds and heavy rain have been lambasting us for hours. I know I shouldn’t whine, since our friends up north are dealing with record cold temps and piles of snow. When we arrived in Galveston, we immediately saw the prominent seawall along the gulf. We learned that the initial 3.3 miles of it was built after the deadliest natural disaster in U.S. history wiped out the town and killed 6000 people in September, 1900. After that hurricane the island was raised and the seawall was built. Galveston has been hit with hurricanes several times since then, and over the years the seawall has been extended. It is now 10 miles long, 17 feet high and 5 feet wide at the top with a curved design that carries waves upwards. This protective barrier has helped save Galveston Island from being inundated during several storms, and it has even been designated as a National Historic Civil Engineering Landmark. As usual, we made the best of what nature provided us. 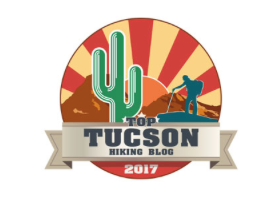 And this was an exciting stop, as we were reuniting with our good friends, Al and Ingrid whom we first met in December, 2012 at Cave Creek State Park in Arizona. 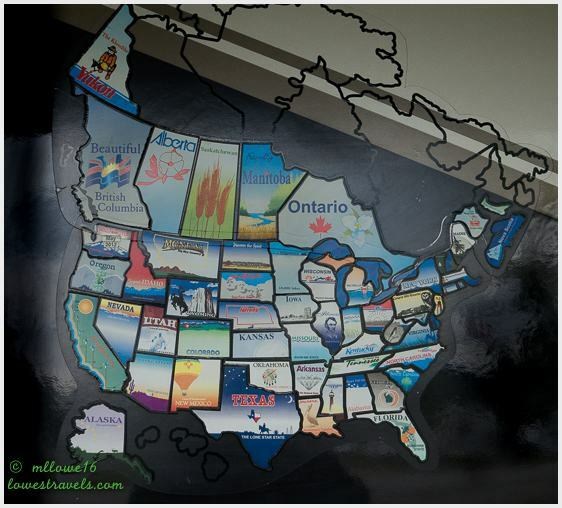 Since then we’ve been following each other’s travel tales, as they were hanging out mostly in the western states as we were gallivanting around in the East. Fast forward to a few weeks ago, we were excited to learn that they will also be wintering in Texas, and in fact would be at Galveston Island when we arrived. Ingrid’s outstanding photography will grab you, so be sure to check her out at Live Laugh RV and see where they’ve been and what they’re up to. Since they arrived here a few days ahead of us, they instantly became our resource for things to do and see. And mind you there are plenty of things to do and see on Galveston Island. Had the weather cooperated, our 10-day stay here would have been packed with outdoor activities. But it did not deter the four of us from getting together and strolling through the historic downtown one rainy day, filling our time with drinks and laughter. We’re glad that we were able to get together a few times during our stay – these guys are fun to hang out with! Burgers and beer (that’s actually a snifter of good stout in front of Steve) – good stuff! As you may know, Texas has plenty of birding opportunities – just like Florida. 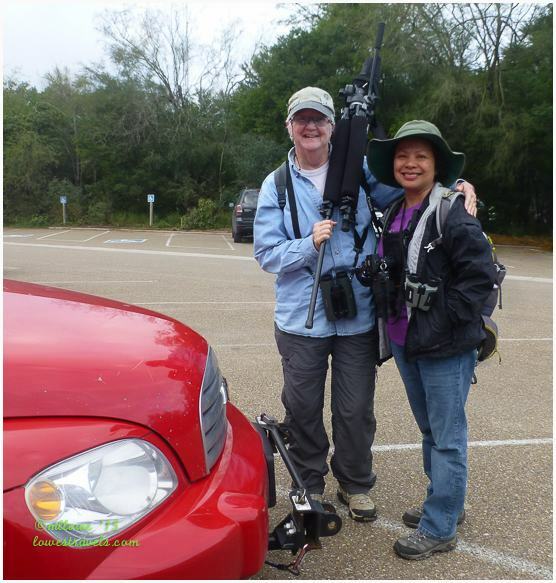 Knowing that got Ingrid and I pumped up for some birding time with no holds barred, as we snapped pictures of our feathered friends. So one day we bundled up, grabbed our cameras and went around the island to areas where we could enjoy a variety of birds. We were not disappointed, for they were there ready to pose for us or just minding their own business. 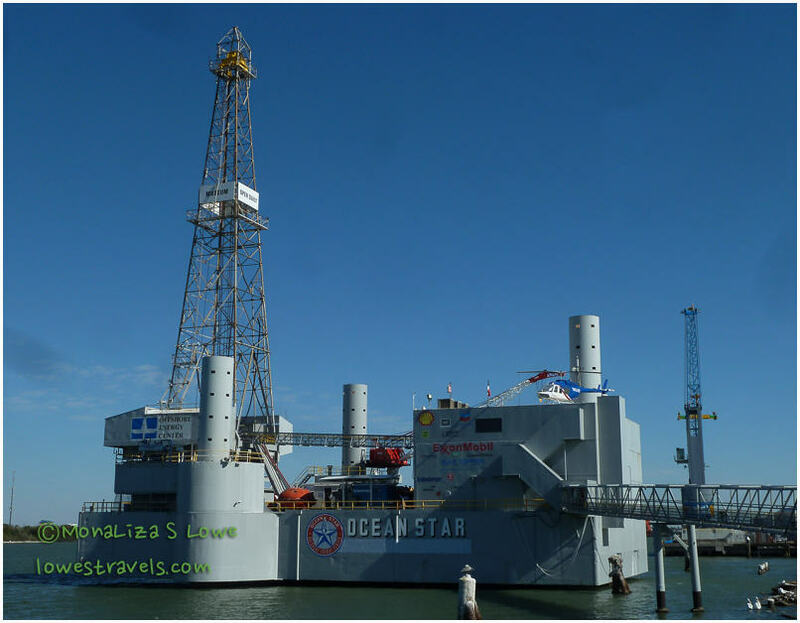 While the girls were enjoying all of the photo ops, Steve and Al took their own excursion to the Galveston Offshore Oil Rig Museum. 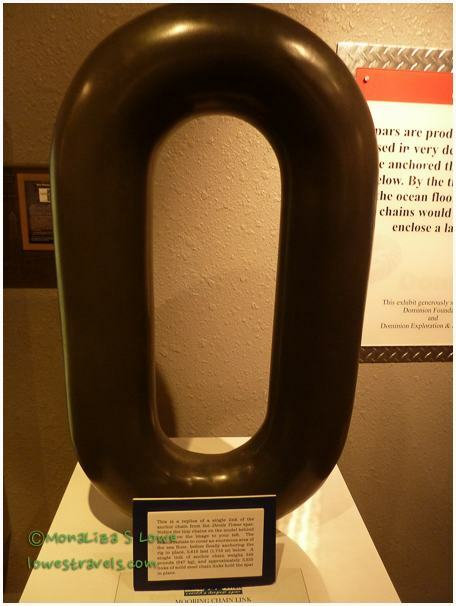 Replica of a single link of chain used to anchor an oil platform to the ocean floor. Each link weighs over 500 pounds! After getting our fill of of snapping pictures of birds, Ingrid took me to the East End Historical District and we followed the self-guided Galveston Tree Sculptures Tour. I failed to remember that on September 13, 2008 Hurricane Ike covered most of Galveston Island in a tidal surge. Before that calamity which even the seawall couldn’t prevent, majestic oaks had lined the neighborhood streets. The surge uprooted many oak trees and thousands more lay in ruins. Today, homeowners and various artists have repurposed these trees into works of art. There were 21 tree sculptures that could be seen tucked in gardens and side yards throughout the area for us to enjoy. Along the tree sculpture route, block by block we saw and admired elegant historic homes with very diverse architecture. The island has a lot to offer, and I would have liked to do more exploring with Ingrid, had the weather permitted. But part of our stay here had to be dedicated to preparing for our big trip overseas. Since Al and Ingrid will be here into December and the weather is improving, they will have more opportunities to explore the island. And it turns out that we’ll be seeing them again further south after we return from our trip – yay!